Pretty yet practical, cream curtains are the ideal choice for modern homes. Find a selection of sumptuous plains and fabulous patterns in our range. From fresh linen to velvety vanilla, choose cream curtains to enhance a neutral scheme. 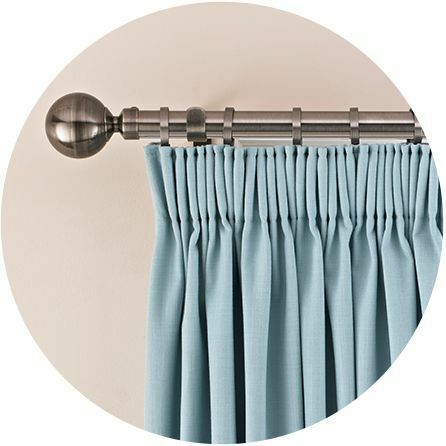 If you're looking for curtains this article talks you through the styles we offer plus all the extras you need to get the look just right. 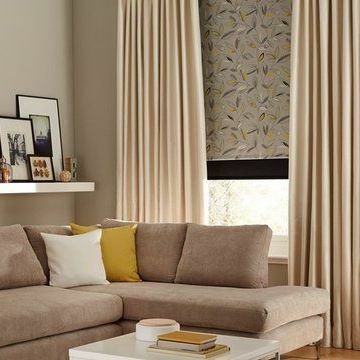 If you want a light shade that feels warm yet sophisticated, then cream curtains are the perfect choice. Create a classically elegant look with ivory and pearl tones, or add a hint of colour with wheat and champagne hues. Choose geometric patterns for a subtly contemporary look, or pick out embroidered, damask and jacquard prints to add an air of luxury to your home. During your in-home appointment, your expert advisor can help you get exactly the look you want. We’ll advise you on different header styles and lining options. And for the final finishing touch, we have a range of poles and finials, tie-backs and co-ordinating cushion covers to choose from. And don’t forget, measuring and fitting is all included as part of our dedicated in-home service. 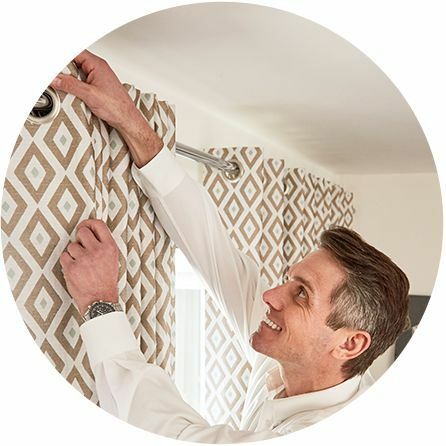 Once you’ve placed your order, we’ll return to professionally fit your beautiful made-to-measure curtains at a time and date that’s convenient for you.